Local businesses are the heart that keeps the body of the community alive and well. They bring a local aspect as well as a friendly face to the business world. Bossanova is one of the local businesses that have had the opportunity to bask in the light of success over the years. The owner of the restaurant & lounge, Russ Smith, became enthused to talk about his business as we sat down to discuss his success. Even though success for Bossanova is apparent, it was not achieved on its own. 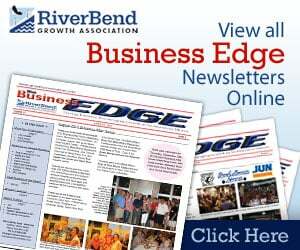 The River Bend area provides innumerable benefits along with a local advantage. “I have been here for so long and there is a lot to like. The fact that this area is small, but not too small is something beneficial. There is a historical aspect to the area as well as physical beauty right down to the brick streets, the architecture, and the lime stone bluffs. There becomes a lot to sell when you are near a river and within such a historical place. It comes down to the destination,” said Smith with a friendly smile upon his face.